PHOTOS: Meet RHONY's Bethenny Frankel's New Boyfriend Paul Bernon! UPDATE: RHONY Star Bethenny Frankel Is Dating Film Producer Paul Bernon! Plus Is He Married? UPDATE – A source is telling Reality Blurb that Paul is NOT married, and has been divorced for over a year now. The original story is below. Reality Blurb has confirmed that the Real Housewives of New York City star Bethenny Frankel is dating film producer Paul Bernon. Earlier today, we shared a report from the Daily Mail which incorrectly identified the identity of Bethenny’s new beau as Ben Kosinski. Moments after sharing that post, a source contacted us to reveal that Paul is actually the man Bethenny was photographed kissing in Boston, Massachusetts on October 8, by TMZ. Paul, 41, and Bethenny, 47, were also pictured holding hands on Sunday. We did some digging and we discovered that Paul appears to still be legally married to his wife of 14 years, Ashley Bernon. We were unable to find any divorce records or divorce filing for the couple, although most signs point to a separation. We noticed Ashley hasn’t posted any new photos of Paul on her Facebook page since June 20. She is also not friends with him on the social media network even though he has an account. Paul, a father of two, is a co-founder and partner of Burn Later Productions. His producing resume includes the movie “Drinking Buddies,” starring Olivia Wilde and Anna Kendrick. He also dabbles in real estate, as his IMDB bio credits him for acquiring his first shopping center by the age of 24. Additionally, he is listed as a managing partner at Rubicon Real Estate, LLC. Paul graduated from Boston University with a degree in Film Studies, and earned a Master’s Degree in Real Estate from New York University. 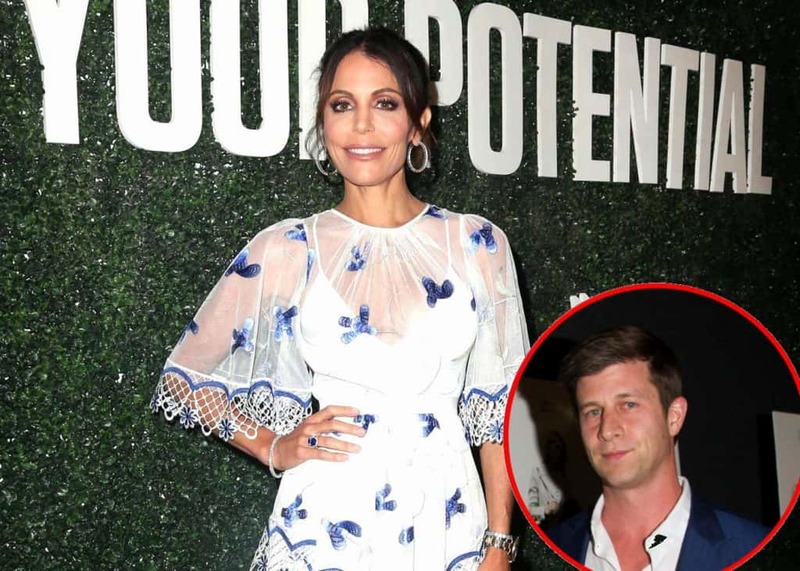 News of Bethenny’s new relationship comes just two months after her on-again off-again boyfriend Dennis Shields was found dead at his NYC apartment on August 8, from a suspected accidental prescription drug overdose. Since Dennis’s passing, Bethenny has been pretty open about the pain of dealing with his sudden death. Just last month, she credited a “grief diet” for her weight loss, after some fans voiced their concern about her thin frame. Bethenny has yet to comment on her relationship with Paul. Thank you to everyone who joined us for today's @emilys_list panel. The 11th season of RHONY is currently filming, and is expected to debut on Bravo early next year.